Today Pedro and I ski toured and skied in the Big Creek Summit area. 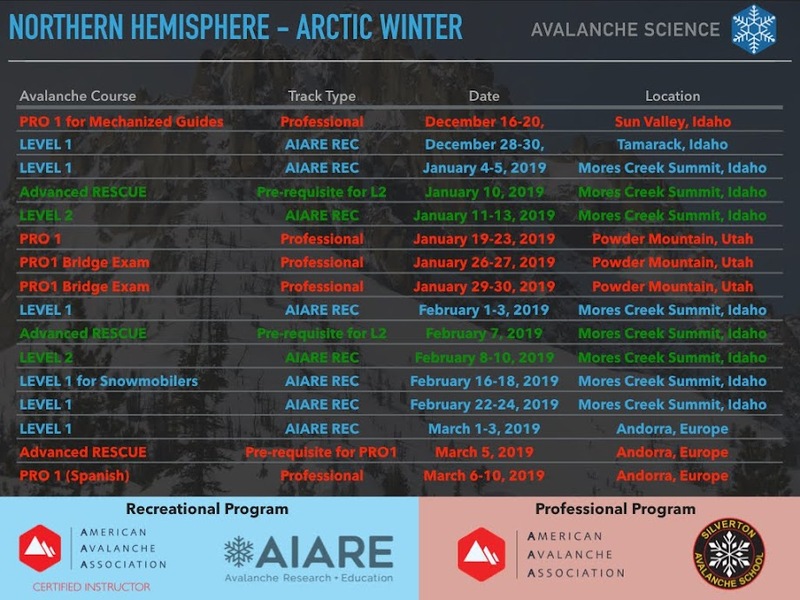 This years is special due to the above average snowpack depth and cold temperatures, thus it is possible to ski lines with some South aspect, and not run into "instructional" snow. It has been about 3 (maybe 4) years since we skied the East Side of Warm Lake Road next to Big Creek Summit. Google Earth is great tool for trip planing. Trip planning is one of the most important elements to acquire knowledge from the area to be toured and skied. Study of satellite views and topo maps augment the safety of a trip, and provide familiarity with the terrain to be travel. The next Google Earth view of the area we skied today shows the open slopes with less vegetation, and better skiing. 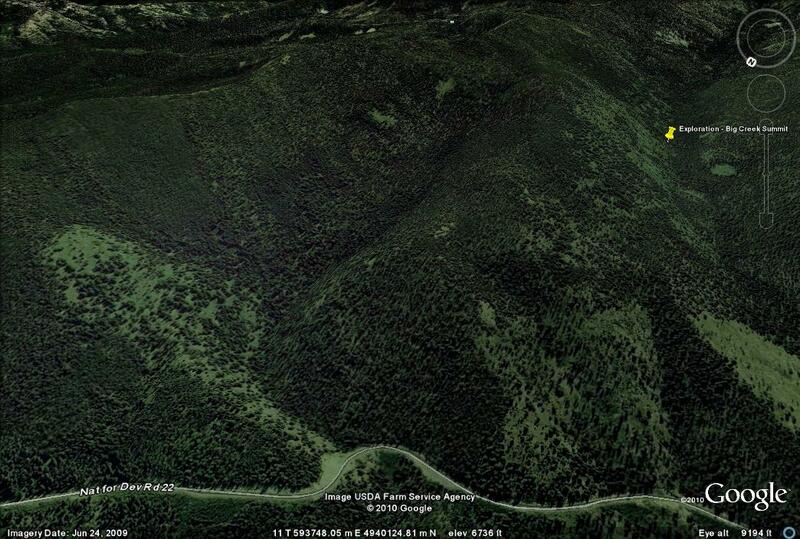 At the bottom of the image, the Warm Lake road is visible, as well as the parking pull-out (at 6150 feet). 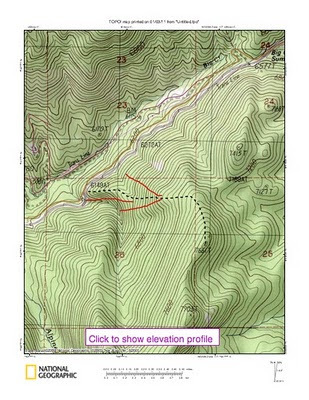 The topo map included shows the short tour to a sub-summit, that provided some spectacular views. In red the ski runs we did today. We had limited time to ski more terrain. It was a short day since I had to drop my son at school in the morning, and pick him at school by 3 PM. The ski runs with West and South-West aspects had 20-30 cm of Diurnal re-crystalized snow (facets!) that were distinctly "pleasurable" to ski. The ski run with North-West aspect consisted of preserved "old" pow snow, dense and creamy. Enjoy the video of Today's skiing! The terrain we toured today rarely exceeds the 32 degrees of steepness, although there are some terrain traps at the creek bottoms that demand some attention. Anyway, we wanted to contrast the stability assessment with mores Creek Summit snowpack. As the Avalanche Centers (Payette and Sun Valley) have been stating, we found a surface hoar (SH) layer buried 50-55 cm from the snowpack top. The next picture, next to my fingered glove, you can identify some SH crystals in the sliding surface. Weak Layer (SH) in the top 1 meter of the snowpack. Most snowpacks associated with avalanches have at least more than 3 of the above structural weaknesses. The snowpack at Big Creek Summit had five LEMONS! In addition, the stability assessment found evidence of instability, the Q1 test result. It might be hard to trigger and propagate a slide, but a slab avalanche with half a meter of depth can easily ruin your day. Be mindful of wind loaded slopes or places were the snowpack is thin allowing to easily trigger the Slab/Surface Hoar snowpack weakness. The buried "surface hoar" layer was not detected by us at the slopes we skied at Mores Creek Summit last December 30th. We snapped a good number of digital pictures of VERY large surface hoar crystals recently formed above the recent snow. Their sizes varied from 2 mm to very large monsters, as you can see next. But most slopes had the 3-5 mm surface hoar shown in the next pictures. The SH deposition was extensive at ALL of the slopes we travelled today. We will have to be vigilant once this dangerous layer is buried. And remember that avalanches associated with SH, run at much more shallower angles (30-34 degrees of steepness) when compared with other weak layer structures.